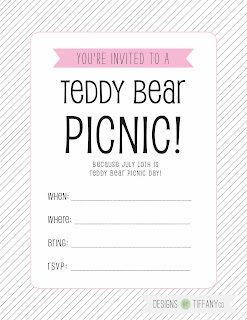 Have you heard that next Wednesday is Teddy Bear Picnic Day?! No?? I wouldn’t have either if I hadn’t read last months issue of Parents magazine. I feel like everyday there is something crazy to celebrate… But I did think it sounded pretty cute and fun, so I’m giving it a go with my 16 month old! We’ll keep it low-key with a few bears and some munchies spread out on a blanket on the carpet floor. It’s too hot to do it outside! 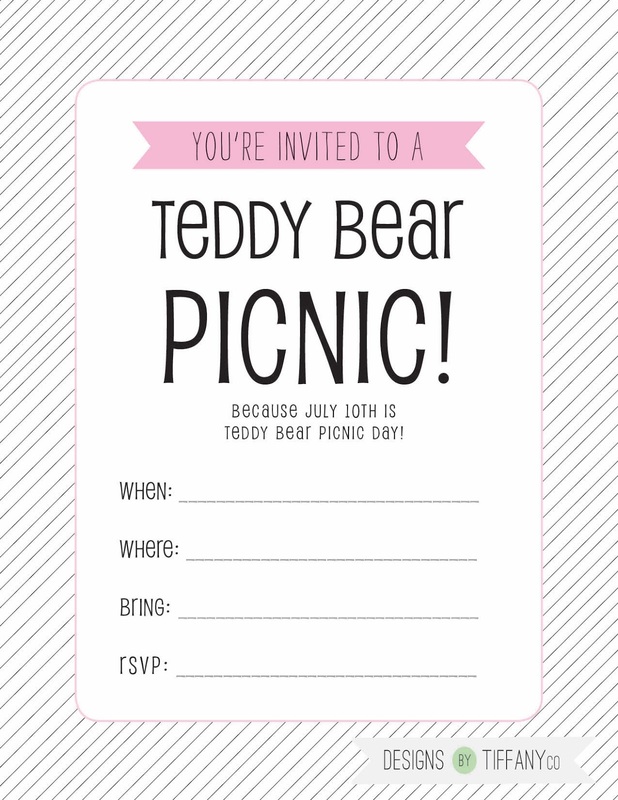 But, if you would like to make it a party, I’ve made some cute invitations! I made it so there are 4 on a page to save paper and printing costs. There are also crop marks to help make the cutting easier. Now you have a week and a half to plan it! I’ll let you guys know how ours went and I would like to hear how yours turned out too! Cute blog, Tiffany! I love your designs!! Thanks for sharing your cute stuff!